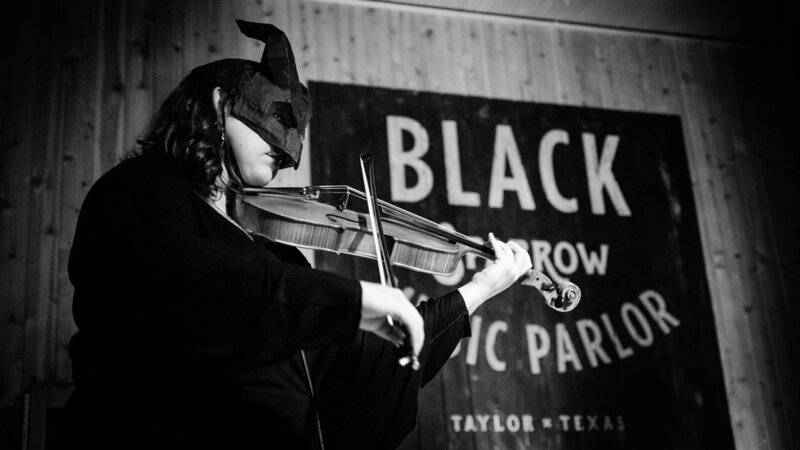 I caught a really interesting pair of bands at the Black Sparrow Music Parlor in Taylor, TX recently. It was a spooky themed showcase night on the heels of Halloween. 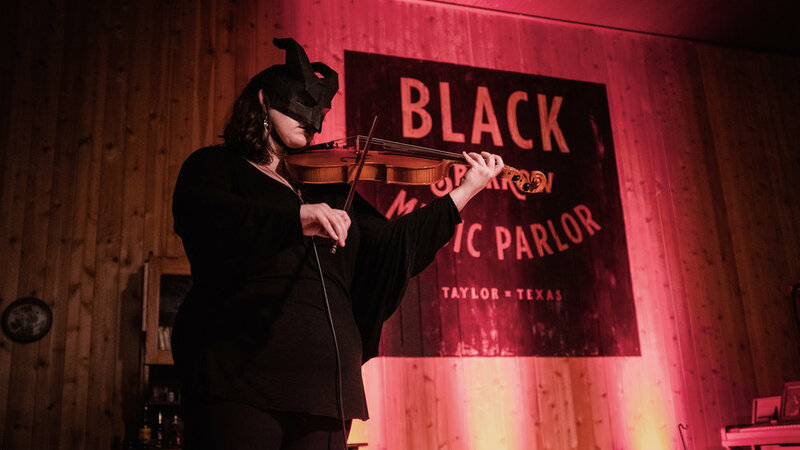 The Black Sparrow has been carving out a niche of eclectic music in this small town and this night brought out some amazing and unusual acts. I had the privilege of seeing sets by Eerie Family and Nøkken + The Grim. Nøkken + The Grim was quite impressive. The masked trio was a complementary blend of strings and electronic keyboard. The characters are portrayals of mythical figures of Magyar and Norse folklore. Musically, they seem to embody a harmonization of the spirit of nature with modern technology. Their lead violinist is an absolute virtuoso and the fact that he pulls it all off while wearing a large horse mask is remarkable. I loved this band this is one of the few times in recent history that I felt compelled to buy a new band’s CD. 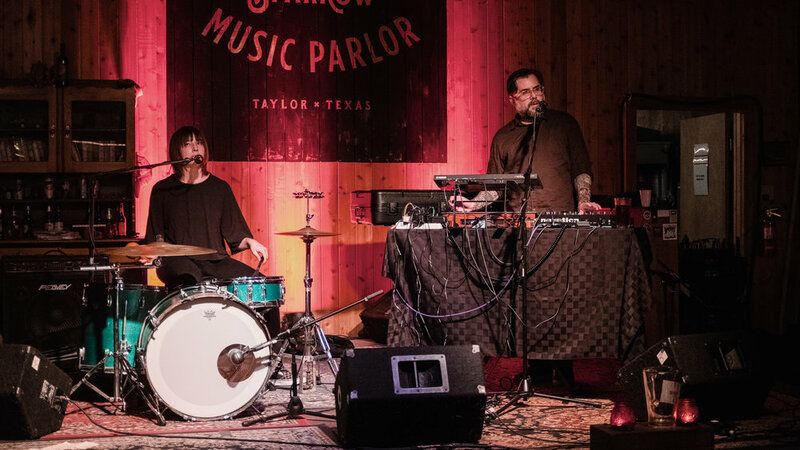 Eerie Family is drum/electronic keyboard duo with an almost hypnotic sound. Great vocal work with simple rhythms. They were very creative in producing a wide range of sonic textures with minimal instrumentation. It’s kind of refreshing to see groups like this - something different from the typical guitar/bass/drums band. All photos were taken with a Fujifilm X100F and processed in Lightroom CC.